IV Liceum Ogólnokształcące (Secondary School no. 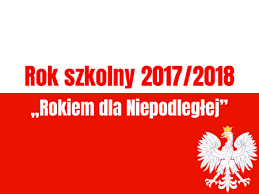 4) is one of the youngest schools in Elbląg, but despite this it soon will be celebrating the 20th birthday. Nowadays, there are 513 students ( aged 16 -20 ) in 20 classes. They are treated individually, so everyone whose ambition is to develop their interests will find here perfect conditions to study. Students with special educational needs study in two integration groups. Those who are especially interested in sports can acquire the knowledge in sports classes, which are unique in our district. All students can freely use sports facilities, which include handball, basketball and volleyball pitches, a football pitch with an artificial surface, a climbing wall and the school gym. Sports people from our school usually take the top places in the sports rankings: 1st place among the secondary schools of the Warmia and Mazury District in 2011/2012 school year, the highest team score for both, girls and boys in Licealiada (a kind of the Olympic games for secondary students) in 2011/2012 school year. Our graduates usually continue their sports careers in sports clubs in Poland. They also become referees, organizers, instructors and coaches of different sports disciplines and activities. Thanks to the agreement with Panstwowa Wyzsza Szkola Zawodowa - PWSZ (the State School of Higher Professional Education in Elblag), which was signed in 2008, our students attend practical classes on biology, meteorology and hydrology held in the laboratories which are situated in our school. The classes are given by the academics and researchers of PWSZ. Our students can also take part in the language classes as well as in the lectures and workshops for the liberal subjects. The school also cooperates with Warsaw School of Computer Science. This is why our school is the Regional Centre of the Project Informatyka + (Information Technology+). Our representatives took part in the opening ceremony of the World Championships in the Team Programming ACM PC. For several years the students have carried out the project called the Mathematical Marathon. Moreover, they organize and participate in the annual Board Games Festival. We all are taking steps in the environment protection. Our school is proud of winning the Certificate of the Local Environment Activity Centre. We also took part in the competition called The Second Life of the Electronic Rubbish. Our pupils study foreign languages such as English, German, French and Russian. They go for school trips (abroad included), go for the international camp in Rodowo, where they meet their peers from Sittensen school in Germany. During the time they spend there they have the opportunity to make friends and get to know each other better. The School Volunteers Club is another significant place. The students from this club are among the prizewinners of the Magnificent Eight Competition every year. For the twenty years of the school’s history we have provided our students with the conditions to develop their passions and interests. They are still given a lot of options to choose from. To continue our mission, as we perceive our job, we offer particular classes in 2013/2014 school year for the new students: mathematics–computer science, journalism–integration, liberal arts–psychology, biology–chemistry and sports. We are open to every young and active person. If you are a thinking person with a inquiring mind, just join us or at least visit our school and the school website.